As a peal of thunder erupted overhead, reverberating through the thin walls of the ramshackle one-storey structure on the periphery of Chowringhee in Kolkata, a note of resignation rang in the voice of Shamim Nawaz as he directed a labourer piling a new batch of cricket pads on his counter: “Jekhane khushi rekhe de” (Put them wherever you want). Shamim, nine years the owner of Sports Plaza, cut a dejected figure, unlike his former self I remembered from my last visit to his shop. I had come four years before to purchase a new set of flannels for my debut in the Cricket Association of Bengal (CAB) Women’s Inter-District Cricket Tournament. You don’t need a prior acquaintance with this self-avowed Saqlain Mushtaq fan to deduce there has been a slump in demand for his products – a glance at his face is enough. 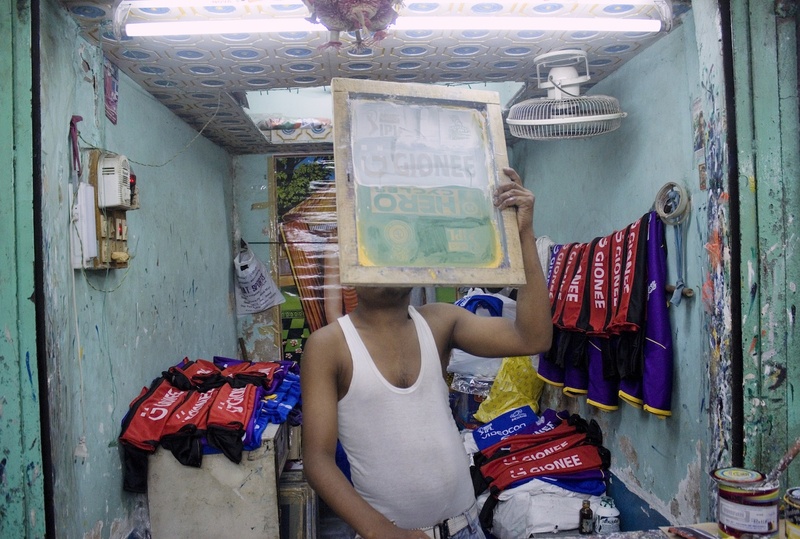 Shamim’s decision to quit his job with a private firm in the suburb of Baidyabati and set up shop in Bidhan Chandra Roy Market, located in the vicinity of Eden Gardens, now seems to the Master’s degree-holder an ill-conceived move. Sheikh Nazimuddin, proprietor of Raja Sports and joint secretary of the stall-owners’ association at the market, sounded a more optimistic note, pointing out that reinvention lies at the core of being able to thrive in this ecosystem. Having owned a store for close to three decades, the 58-year-old prides himself on his ability to adapt and change. “With the birth of the IPL, ISL [Indian Soccer League] and other franchise-based sports leagues, the market is more conducive to business than it has ever been. However, what’s likely to determine your successes or failures is how you keep yourself relevant to the sporting needs of the different categories of shoppers” says Nazimuddin, owner of the two stalls that have collectively become a brand in their own right, owing to the sheer variety of goods they stock, across 18 sports. Set up primarily as a market for cloth merchants who migrated from across the border following the partition of Bengal, the market came into being circa 1950, during Dr Bidhan Chandra Roy’s inaugural term as the second chief minister of West Bengal. 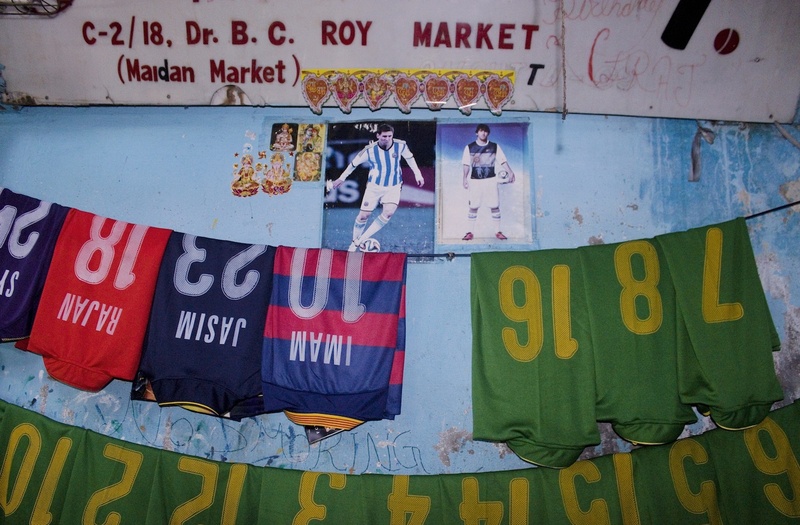 Nestled within the sprawling expanse of the Maidan, the erstwhile Hawker’s Market was officially christened BC Roy Market before taking on the daak naam – nickname – Maidan Market. As its name has changed over the years, so have the wares sold there. Ranjit Singh is one among the sizeable group of wholesalers and retailers who gauged the untapped potential of the market for sports goods in the city within a couple of years of setting up shop in the early 1960s. 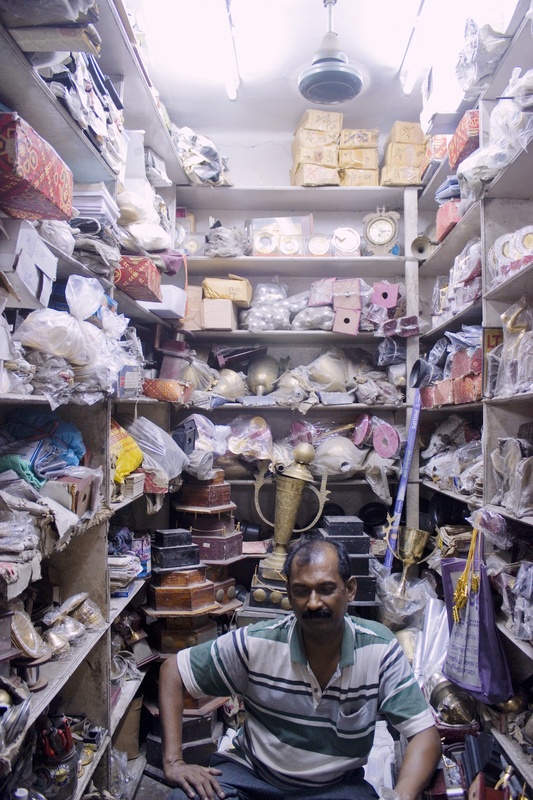 These merchants switched from their former businesses – mostly dealing in women’s ethnic wear and dress material – and began to sell sports equipment and trophies instead. Old-timers claim the Maidan Market is the largest sports-goods bazaar in Asia. This is lent some credence by the fact that only about 20% of the 449 stalls in the market are those of garment traders. The city’s allegiance towards the Beautiful Game, football, is credited with keeping business afloat in the market all through the year. Somenath Dasgupta, owner of B Dasgupta and Co, and a giant among cricket-equipment dealers in the city, disagrees – he believes that the commercialisation of cricket has done the industry – and cricketers – good. According to Dasgupta, before the advent of the IPL, sales would surge only marginally during the season earmarked for Cricket Association of Bengal matches – November through January – and not even that much during high-profile corporate or inter-club tournaments. The bump in sales now recorded during the IPL months helps the traders reap profits that hold them in good stead in the off-season. Sunny Ismail, who has been running a printing unit in the market for nearly 18 years, says that it’s not only the support for the home team, Kolkata Knight Riders, that benefits the market, but also the fandom enjoyed by star players from rival teams. He recalls a phase during the IPL last year, when Virat Kohli’s prolific form – carried in from the World T20 – forced Ismail to ink the name “Kohli” onto Kolkata Knight Riders and Barcelona shirts, in a bid to meet the manic demand. The market has stood as an embodiment of selfless service to sports fans and sportspersons in the city for over six decades. It has done so regardless of bureaucratic apathy and declining profits, the competition posed by big brands, or the growing demographic that is embracing the booming mall culture of the metropolis. During the closing years of communist rule in the state, talk of making Maidan Market an underground one, like Delhi’s Palika Bazaar, gathered force. But with the change of the guard, those plans were shelved, and shop owners locked horns with the incumbent government over payment of electricity and other tariffs. All of this history has been pivotal in shaping Maidan Market into what it is today: a quintessentially Kolkata tableau – messy, clamorous, indolent, yet pulsating with life. What endears it to the lay patron on their maiden visit is the colours: spilling over from bundles of newly manufactured footballs, motley flags that speak of the wide cross-section of sporting loyalties in the city, and neon jerseys. Maidan Market is an endless assortment of contradictions, which are discernible even before one sets foot in the market. The rear gate opens into the Esplanade bus terminus, a decrepit labyrinth that houses intra-city and inter-city buses, and numerous roadside eateries, in the area adjacent to the base of the 157-foot-tall Shahid Minar. The more-used front entrance echoes with the cries of jersey-selling hawkers who occupy the length of the pavement outside the market, with the ritzy Grand Hotel and the teeming New Market overlooking the spectacle. The serpentine alleys, each a little over one-person wide, make manoeuvering through the market nothing short of a sport. The plaster on the ceiling might be peeling off, but the theatrics that ensue during the battles of bargaining never get old. The view inside, despite its lack of upkeep, shows a well-oiled industry sustained by a remarkable amount of fellow-feeling. This quality has been brought home to me especially during the many frantic pre-match visits I have paid to the market in my playing days. The most recent involved the owner of Joy Sports, who, having failed to find me the right pair of left-hander’s gloves minutes before the start of a club-level T20 game at Shyambazar, genially directed me to as many as three neighbouring shops that were most likely to have the item.